The Organisation of Islamic Cooperation (OIC), although facing a wide rift within, may find in the Dhaka foreign ministers conference a unifying cause to act on the Rohingya issue. The plight of the Rohingyas had caught the attention of the OIC but not as a big challenge as much as the Saudi-Iran spat has emerged in recent times, leaving the mission of the organisation weak and vulnerable. But as the foreign ministers will take up its own recommendations on what to do about Rohingyas on Sunday, second day of the conference, this would give the Muslim countries to focus on unifying its Ummah once again for a broad cause. After all, when the OIC was conceived in 1969 following the arson of the Al-Aqsa mosque in Jerusalem, the goal was to form a platform of Islamic nations who would work together to solve their problems and work as a common lobby. Some 47 years down the line, the organisation that spans over four continents with 57 member countries, the largest inter-governmental body after the UN, finds little of that cohesion and peaceful efforts to resolve crises that today grapples the most influential geopolitical footprint of the OIC — the Middle East. Today, the Middle East that nestles only 5 percent of the global population and yet 50 percent of all wars and deaths, is scalded by war and death with the OIC doing little to bring peace. Rather, an age-old rivalry between the two most influential members — Saudi Arabia and Iran — has exacerbated the tension with both sides jockeying for leverage on regional politics. The insidious interest of the US and Israel in the Arab world and following divisive policies have left things even worse off. While wars rage in Syria, Yemen and Iraq, more war cries are heard centering Iran and Saudi Arabia. The 2016 execution of an influential Shia cleric by the Saudi government has specially dimmed the relationship between the two countries both of whom exhort a lot of theocratic influence on the Islamic world. Things had rolled on to such extent when a Saudi cleric, clearly under government nod, had called the Iranians “not Muslims” which consequently led to boycott of the Hajj by Iranians.The hiatus has come to a head now regarding the Saudi-Iran spat on Syria, the new threats perceived by the Saudis over Iran’s nuclear deal that has lifted partially the sanctions on it by the West and the emergence of Israel as a new axis drawing force. The fissure in the OIC appeared raw when in January 2016, when the OIC adopted an anti-Iranian resolution obviously backed by the Saudis, accusing Iran of terrorism. OIC’s tradition of remaining neutral and solving problems with solidarity was waylaid in the process making the Muslim Ummah fraternity look frayed. This was despite the initial response of OIC secretary general Iyad Madani to seek a diplomatic solution to the tension. The Syria cauldron has just heightened the Saudi-Iran tension with Iran supporting Syrian President Assad and the Saudis funding the rebels. OIC had earlier suspended Syria from its fold in 2012 for Syrian president’s fight against rebels. Syria was not even asked to defend itself and Iran was the lone voice to castigate the decision. Things became even nastier when Russia, an observer of the OIC, took side of the Syrian government, making the land a ground for proxy war between many parties – the Saudis, Iranians, the US and the Russian. In its bid to hold sway over the Middle East, the Saudis have gone rough on other countries as well by intervening in Bahrain to quell as Shia unrest, by ostrasising Qatar and building an ally against it on the ground that the gulf state funds terrorist outfits. Saudi Arabia has actually built a new front line against Iran and as part of it Bahrain, the UAE and Egypt have accused Qatar of threatening stability in the region. But it is widely understood that at the back of it worked the Qatar Emir Sheikh Tamim bin Hamad Al Thani’s praising of Iran’s role in the region. Saudi media also reported a meeting of Qatar’s foreign minister with Iran’s head of Revolutionary Guard and Qatar congratulating Iranian President Hassan Rouhani on his recent electoral victory. As part of its front building, countries like Somalia, Bahrain and Sudan received carrots of financial aid from Saudi Arabia if they cut ties with Iran. Yemen is also burning caught in this Saudi-Iran confrontation and Saudi air strikes continue there to quell rebels backed by Iran. Meantime, Israel which eyes Iran as its current main enemy in the region is taking new initiatives to bolster the Saudi front. Egypt has allowed Israel to bomb its own land to stamp out rebels against the Sisi government, an approval unthinkable even before the thing actually happened. Saudi Arabia has allowed air flight over it to Israel, another surprise not so big when Iran becomes a common enemy. When so many issues thorn the OIC, the Dhaka OIC foreign ministers’ conference offers the organisation a chance to show their solidarity again on the question of Rohingya which has no link to the current tensions within the Middle East. Since the recent Rohingya crisis began, the OIC has taken up the issue and urged Myanmar and the international community to resolve it. 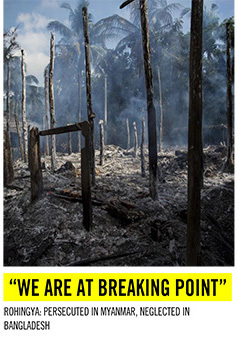 Its view of the persecution is akin to ethnic cleansing just as the UN has observed. The ministers of foreign affairs of OIC Contact Group on Rohingya Muslims of Myanmar held a meeting on the sideline of the UN General Assembly in 2017 and called on Myanmar to immediately stop violence on Rohingyas. It has also asked the Myanmar government to return citizenships to the Rohingyas which was scrapped in 1982. In January this year, a OIC delegation — Independent Permanent Human Rights Commission — visited the Cox’s Bazar camps and saw for itself the situation. The Delegation report was adopted by the commission in April and it is the same report that would be submitted with recommendations to the OIC foreign secretaries’ conference to begin in Dhaka on Saturday. 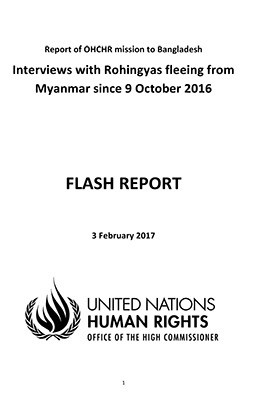 The recommendations are clear and welcoming — early, safe and dignified repatriation of the Rohingyas with guarantee to their safety and access to their livelihood. The foreign ministers will visit the Rohingya camps again on Friday before the day of the conference and it is expected that the plight of the hapless people would be a reason around for the divided OIC to be united again round on one important point — to help humanitarian plight of the Muslim Ummah. 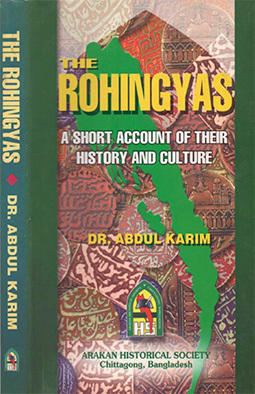 After all, it had set up its Department of Humanitarian Affairs in the 2008 conference exactly to come forward in cases such as the persecution of the Rohingyas. A united stance can lead to a meaningful engagement of the UN Security Council on the issue even at bilateral level and thereby extracting a resolution on the issue and force Myanmar to take back its citizens.